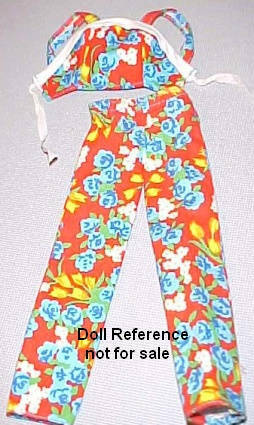 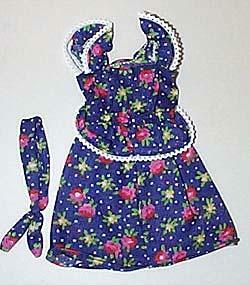 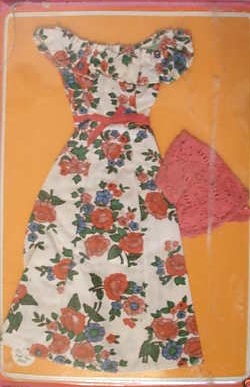 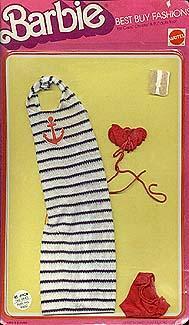 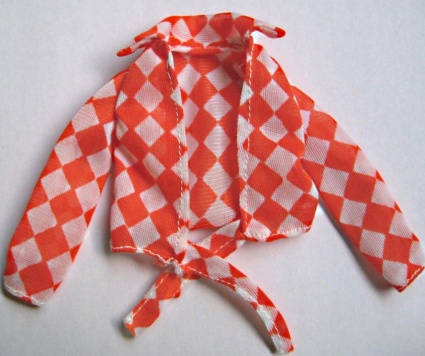 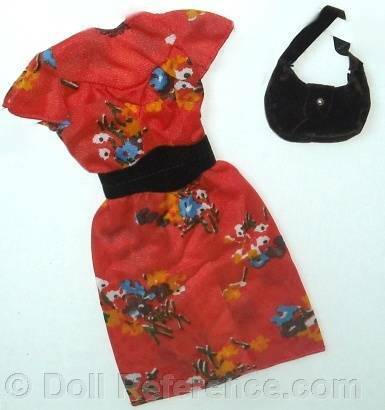 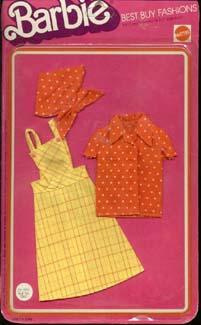 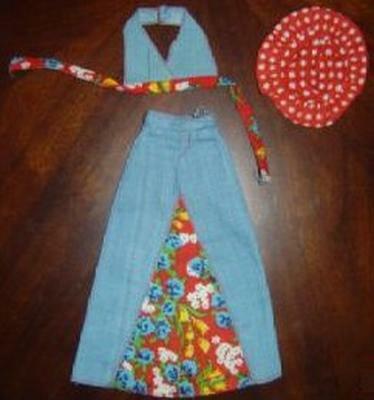 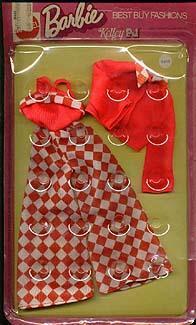 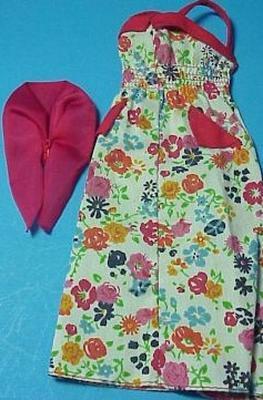 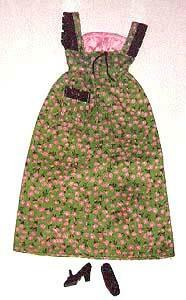 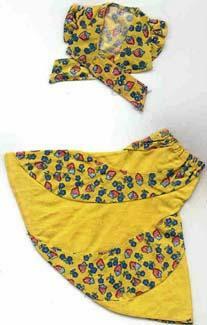 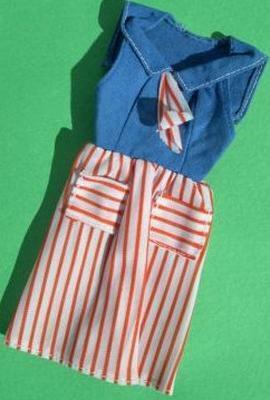 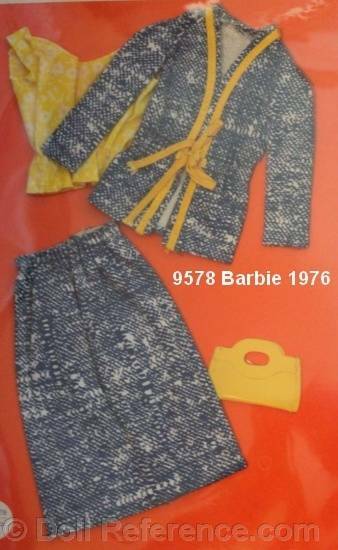 Vintage Barbie Doll Clothes Fashions 1975 - Forty-five new outfits including Sears exclusives. 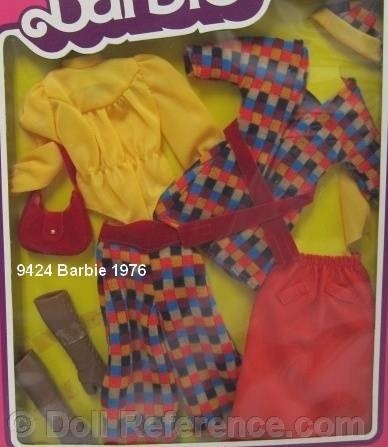 1975 was an Olympic event, Gold Metal Barbie was a skier, skater, swimmer and gymnast and was a winner in all events. 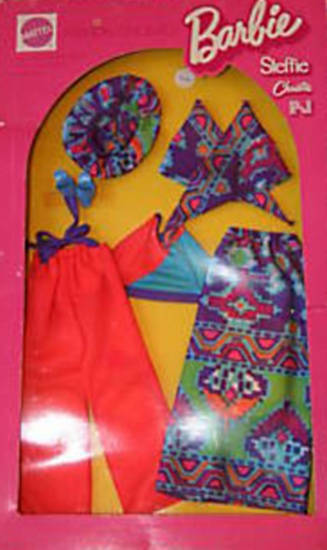 On right; the Free Moving Barbie was introduced in 1975 and on left; the department store limited edition Hawaiian Barbie. 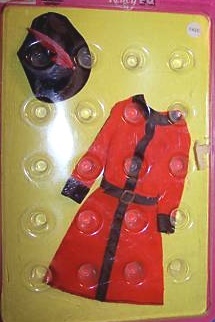 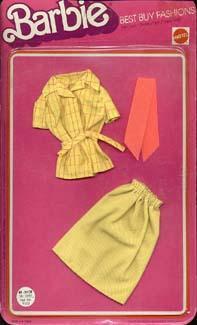 Note: After 1972 Mattel no longer listed outfits name or titles in booklets. 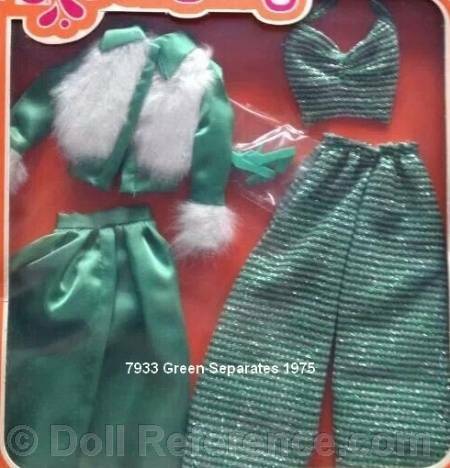 Green satin two piece suit with faux white fur jacket green satin sleeves, collar and waistband, faux fur cuffs, green satin full skirt, green and silver ruched halter top, green and silver long pants, green pilgrim heel shoes. 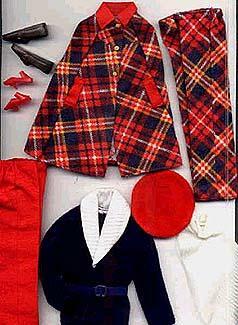 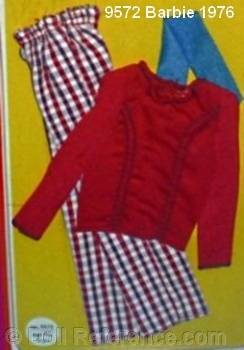 - plaid pants, cape and cap - Barbie and Ken matching set in a plaid cape, red pants and cap with red pilgrim shoes for Barbie and Ken has a shawl collared jacket with blue vinyl belt and the same plaid for his slacks with brown shoes. 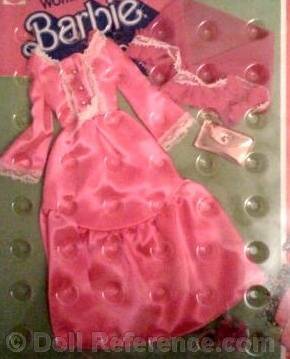 - pink & white fabric flower on green ribbon, white bead on a gold tone chain necklace, gold dimple clutch with gold bead, cardboard face mirror, pink open toe heels. 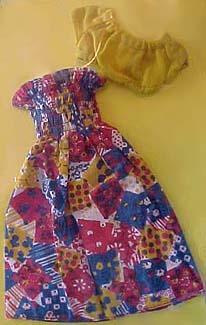 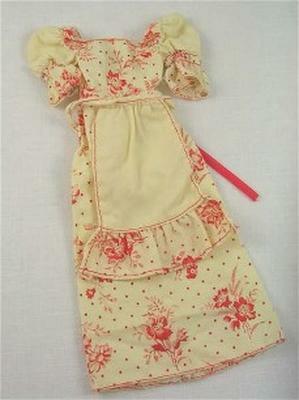 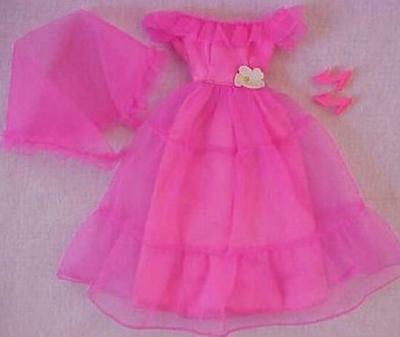 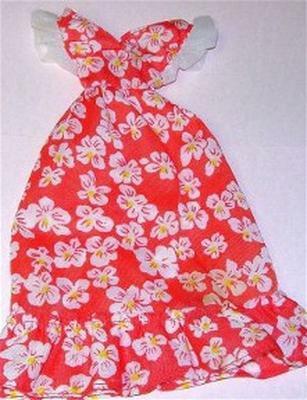 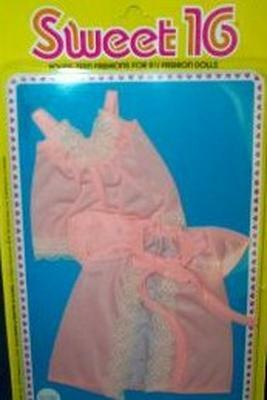 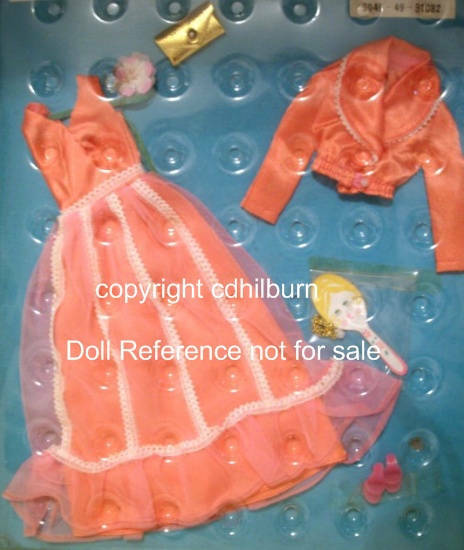 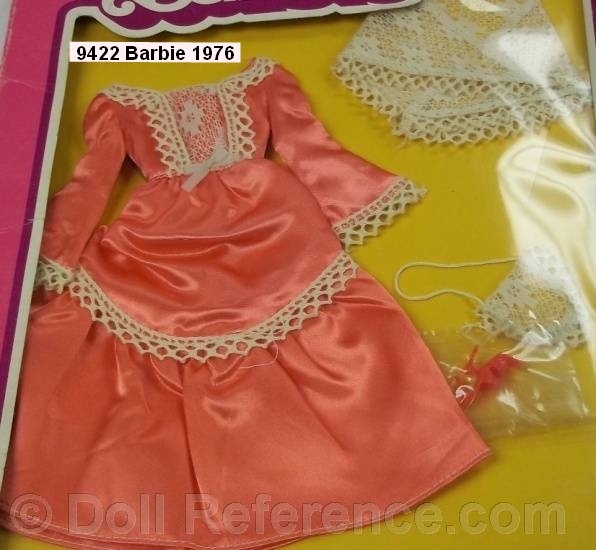 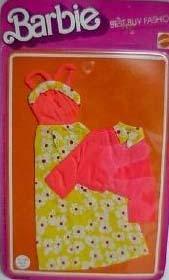 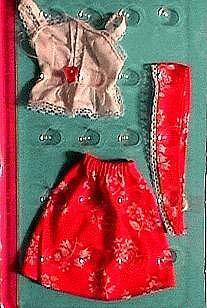 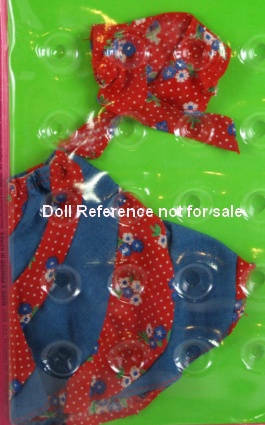 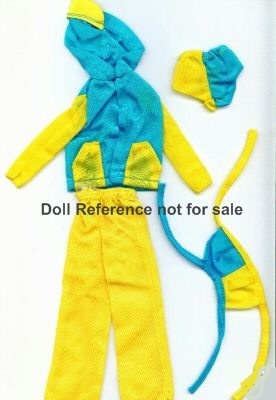 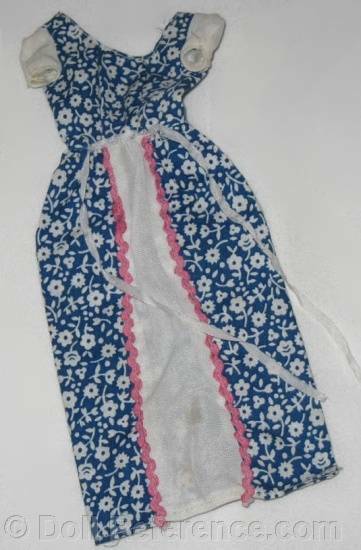 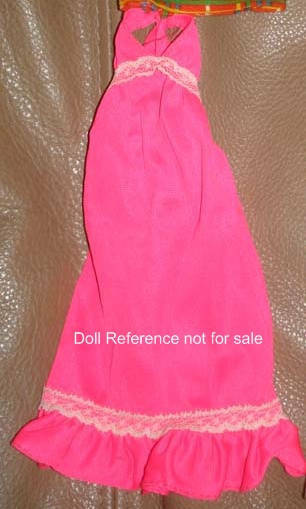 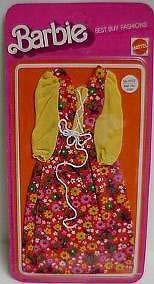 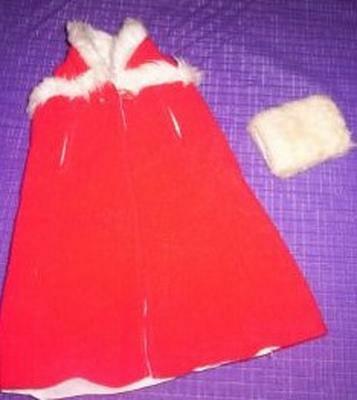 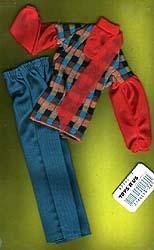 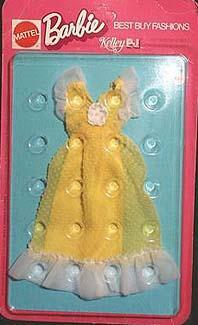 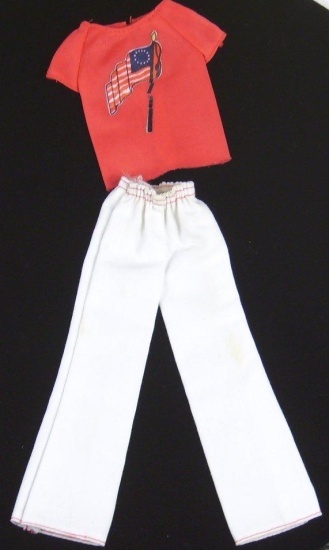 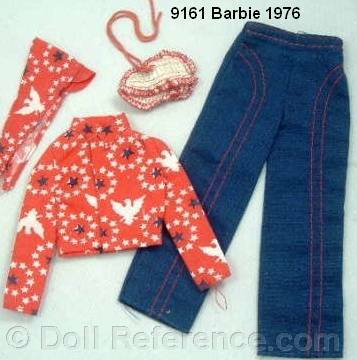 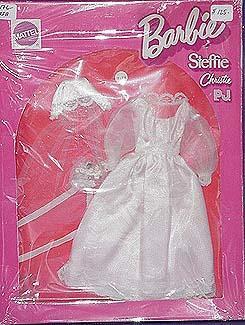 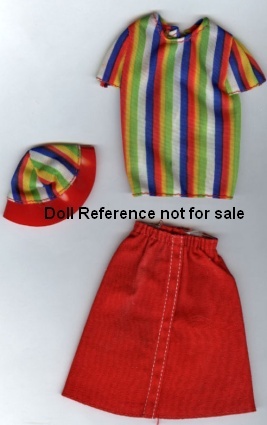 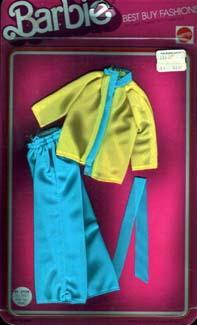 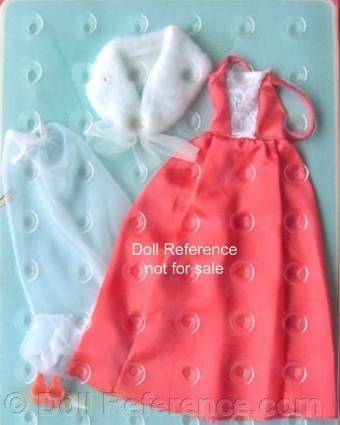 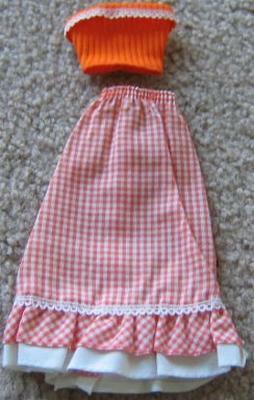 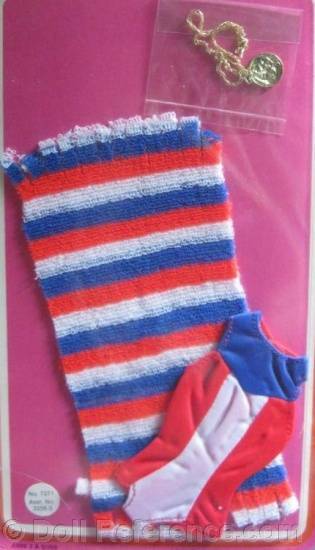 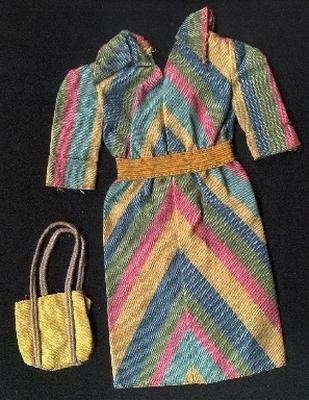 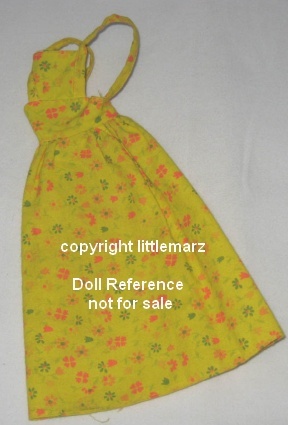 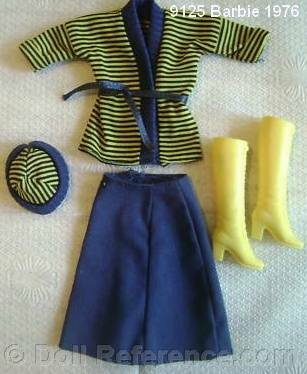 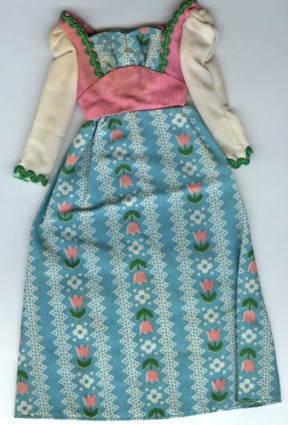 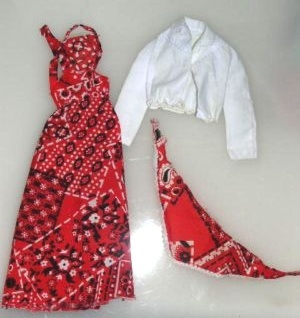 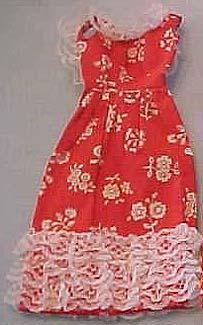 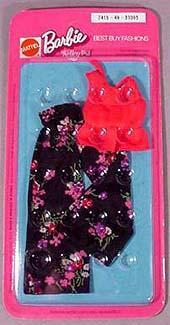 Vintage Barbie Doll Clothes Fashions 1976 - after 1972 names or titles were not given on packaging. 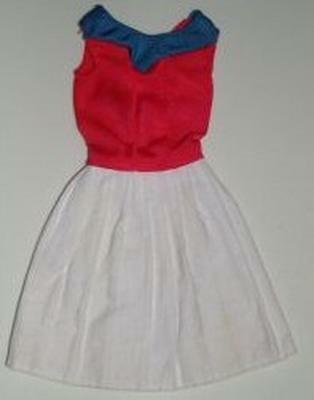 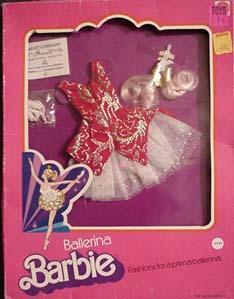 9300's are Ballerina costumes, 7176-9595 are Get Up's N Go and 9153-9156 are Best Buys. 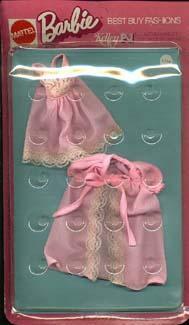 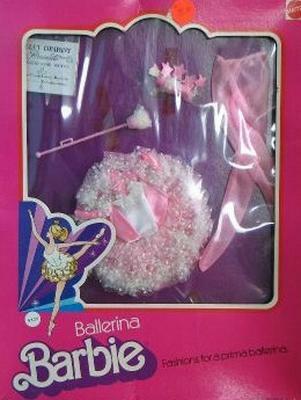 Ballerina Barbie and Quick curl Deluxe Barbie are new in 1976. 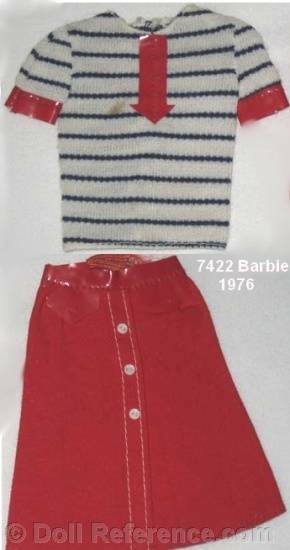 Note: It's possible and likely other clothing was available, this was all we have found so far.